Namine got a clean bill of health after seeing her orthopedic surgeon and bone specialist, but she was still told to take it easy. In case you’re wondering, “taking it easy” means not playing tennis. 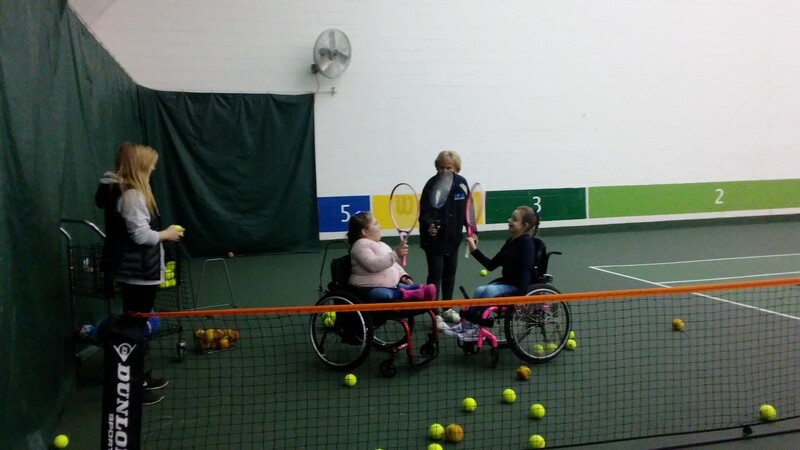 Since she’d already missed some tennis due to the broken bone, she didn’t want to miss the very last practice, either. To that end, she decided to use her right hand instead of her left. You’d never have known it was her off hand. 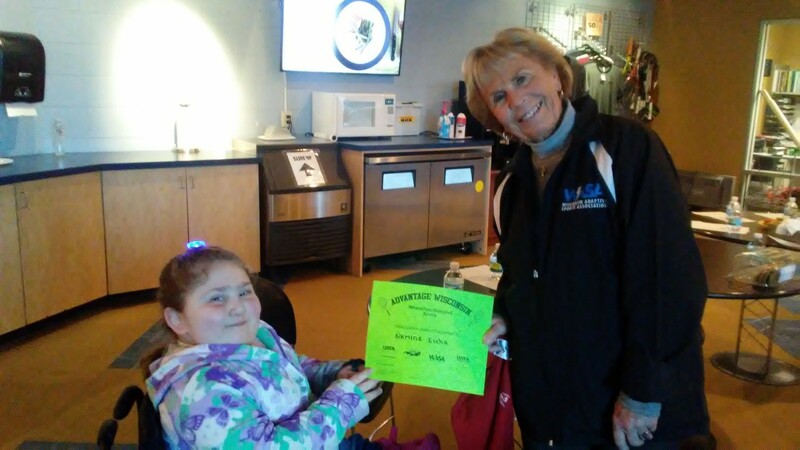 There was one thing left before it was time for us to go: Namine was presented with her certificate for being in adaptive tennis. She had a great time, and I know she can’t wait until Spring, when practice will start up again.